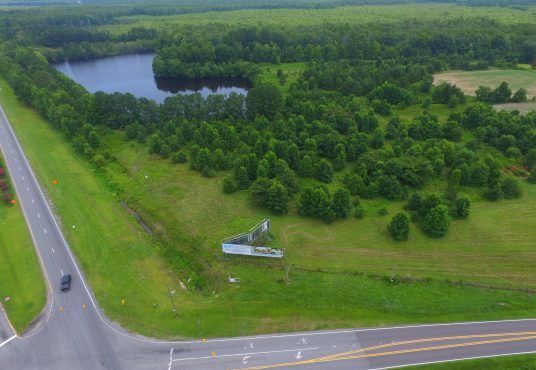 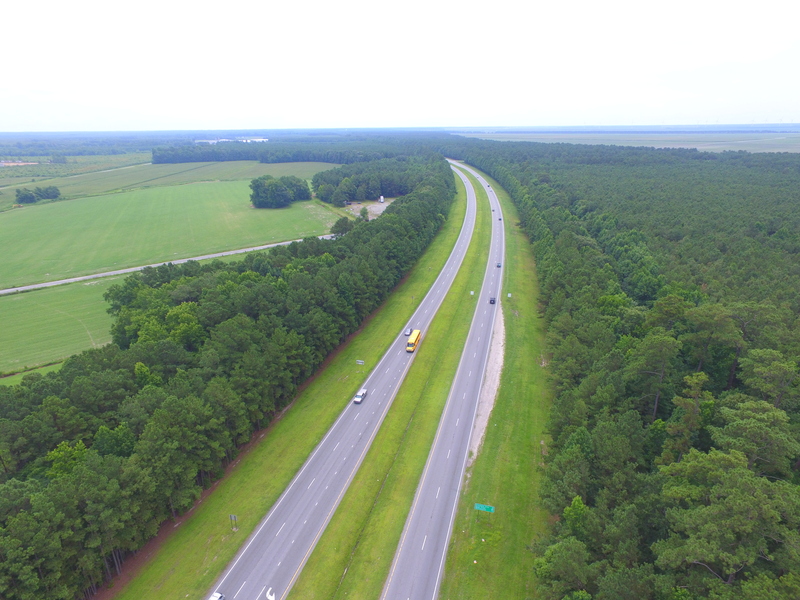 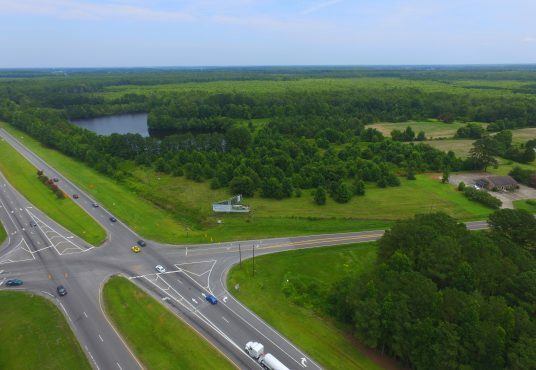 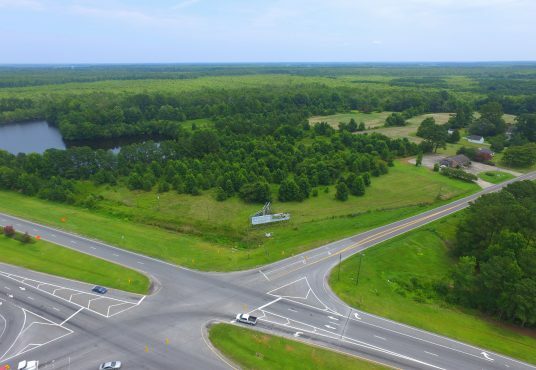 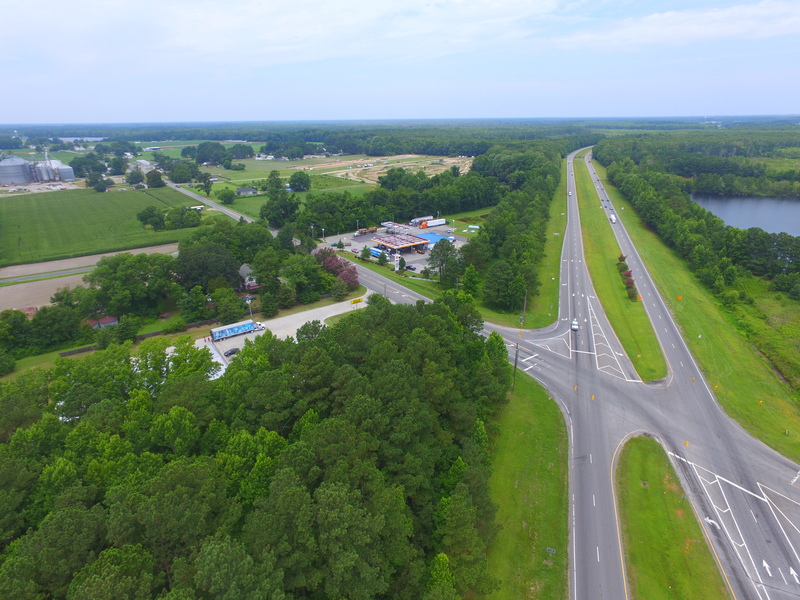 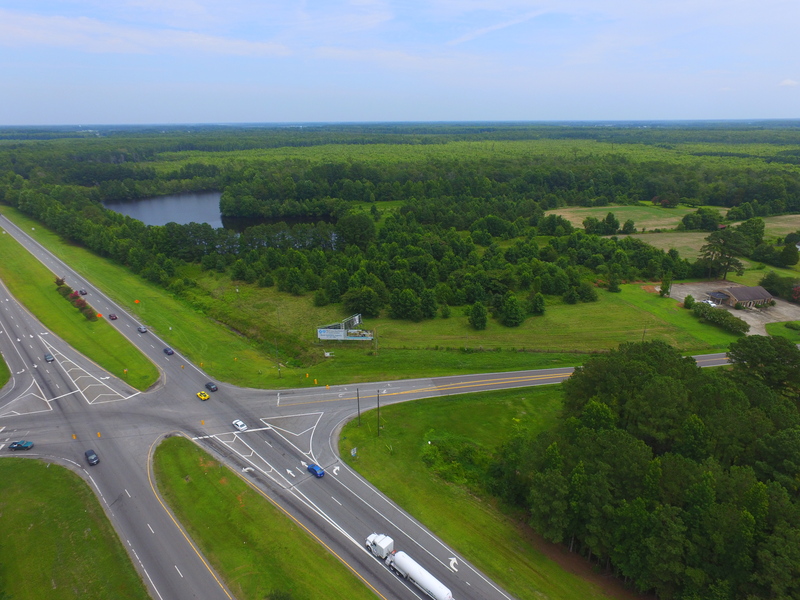 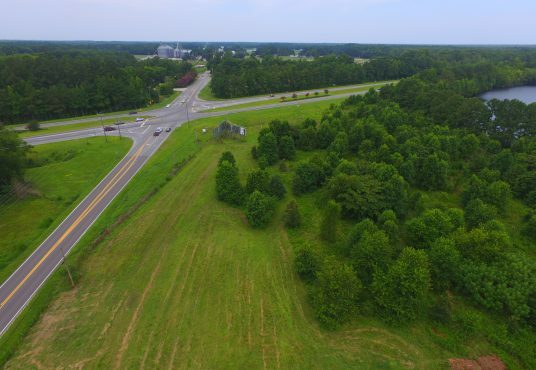 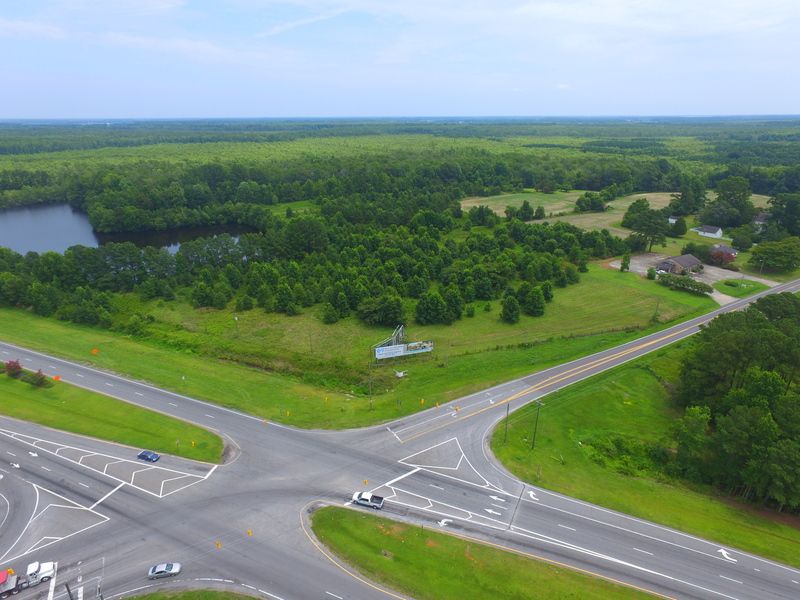 Commercial sites for development in Northern Pasquotank County at stoplight intersection of hwy17/hwy158 between Elizabeth City and NC/VA line. 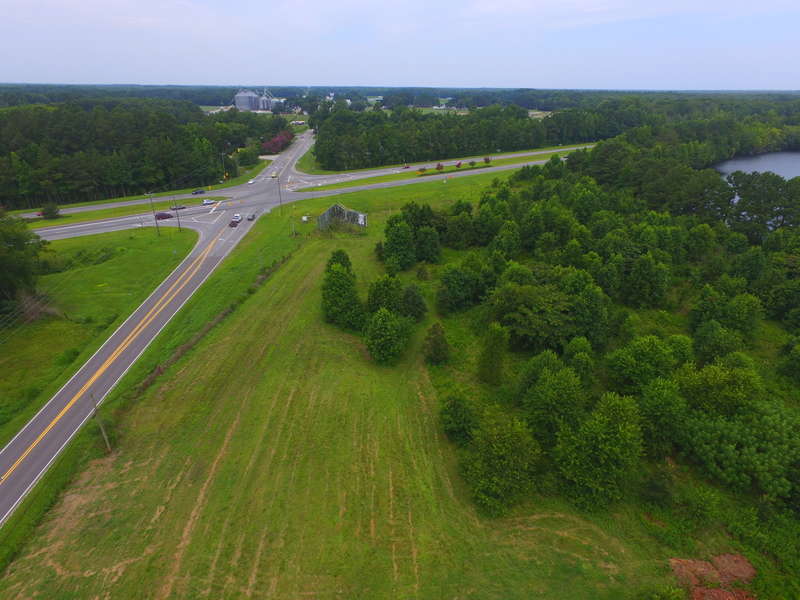 62.21 ac total, 18 ac closest to corner are uplands. 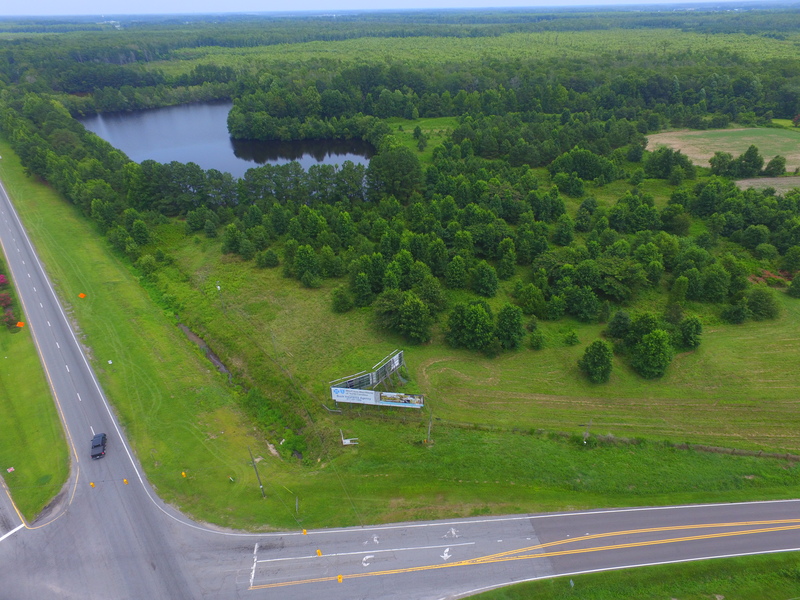 $900,000 for whole property, or outparcels between 1-8 acres available for $117,000, $135,000 & $517,500. 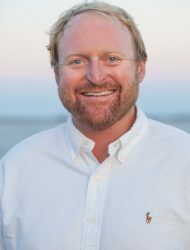 Outparcels can be customized with prices available upon request. Great sites for retail, gas station, QSR restaurant, family style restaurant, pharmacy, grocery, or office/medical uses.